Mahindra Trucks and Buses most promising clientele tell us about what Mahindra has to offer and how it has made a world of a difference to them. He also said that cement transportation needs trucks with high pulling power that can withstand heavy loads and for lakhs of kilometers without fail. He believes that trucks are highly dependable even after punishing use. Mr. Rajendra needed all these qualities along with another one and that is trucks that are low on maintenance. 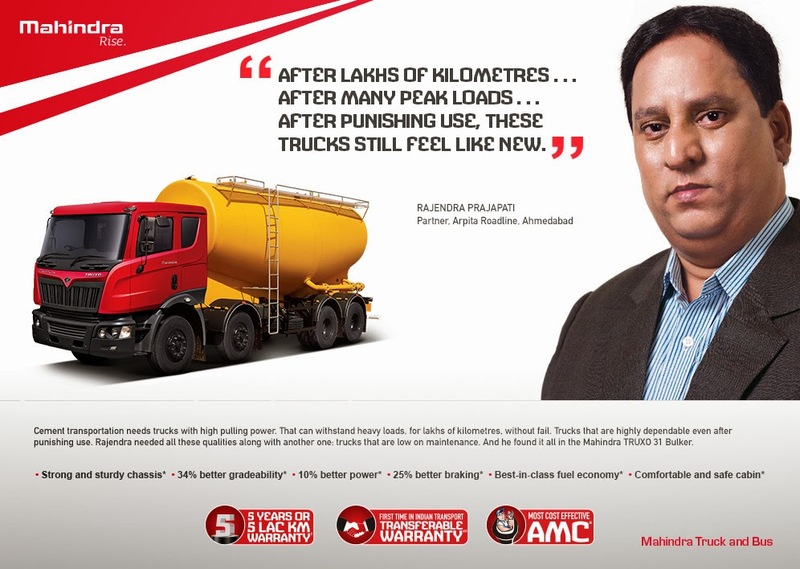 Hence he chose Mahindra Trucks and found all these qualities in Mahindra TRUXO 31 Bulker. Mahindra trucks are strong and sturdy along with being comfortable and safe. They have 34% grade ability, 10% better power and 25% better braking.